(Yonhap) – South Korea has decided to purchase 40 Lockheed Martin’s F-35A stealth fighters, with an option to buy 20 more later depending on the security situation and budget, the Joint Chiefs of Staff (JCS) said on Friday. JCS Chairman Choi Yun-hee held a meeting of top commanders to approve the plan to buy the 40 F-35 Block 3s, which are capable of conducting air-to-air and air-to-ground missions with internal carriage and external stations for missiles and bombs. The software configuration is expected to reach the initial operating capability around 2016, according to the U.S. Air Force. As the F-35 is sold only through the U.S. foreign military sales (FMS) program, the Defense Acquisition Program Administration (DAPA) is expected to purchase the aircraft through a government-to-government deal and without an open bid. The total budget hasn’t been confirmed as the FMS condition requires a foreign government to pay the amount specified by the U.S. government for the F-35s at the time of payment. 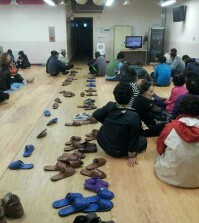 Seoul had initially assigned 8.3 trillion won (US$7.2 billion) for the past program for 60 jets. The purchase plan has been scaled back from the previous one, in which Boeing’s F-15 Silent Eagle was the only bid within the budget. The advanced variant of the F-15 was voted down due to its relatively weak stealth capabilities. 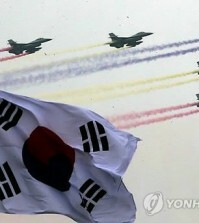 For an additional 20 jets, the South Korean government will reconsider the required operational capability and security situations with a goal of deployment between 2023 and 2024, Eom said, giving Boeing and the European Aeronautic Defense and Space Company (EDAS), which participated in the past bidding, an opportunity to secure a contract. 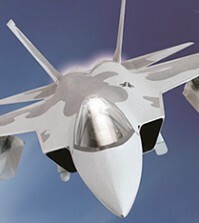 Boeing earlier proposed a mixed purchase of F-15s and F-35s to minimize a security vacuum, while EADS highlighted an offset deal, including the transfer of technology and industrial participation for South Korea’s indigenous fighter jet project in synergies between the aircraft procurement and development program. “The JCS decided to buy 40 jets first to minimize the security vacuum and purchase the remaining 20 after reassessing the required operational capability in accordance with the changing security situations and aerospace technology,” Air Force Brig. Gen. Shin Ik-kyun said. Shin said the stealth jet will play a critical role in destroying major enemy targets as part of the so-called “Kill Chain” defense system, which is designed to detect signs of impending missile attacks and launch pre-emptive strikes. Lockheed Martin’s F-35, which is still under development for the U.S. military, had initially been considered as a favorite, given South Korean Air Force’s long pursuit of stealth fighter jets that can pass through North Korea’s complex web of radars and given the close relations between the two allies. However, the past rounds of negotiations that placed high priority on the acquisition price effectively eliminated the F-35, which has been plagued by cost overruns and technical problems. The move comes as calls have risen to acquire the fifth-generation jet as the Korean Peninsula is encircled by China and Japan, which are at odds with each other over territorial disputes and seek to expand their military power. Russia is preparing to equip its Air Force with stealth jets to counter the U.S. F-35s and F-22s. Unlike the fierce competition for the past project, industry experts say the one-way bid gives Seoul less room to negotiate other conditions such as a technology transfer or industrial cooperation in connection with the program. For past biddings, Lockheed, Boeing and EADS had proposed aggressive offset programs to sweeten their bids, ranging from technology transfers to promises of purchasing Korean-made parts. Industry experts say the F-35 purchase would pose a greater challenge to Seoul when negotiating the technology transfer due to the tight U.S. arms export policy.